At D. Diamante, I take great pride in my diamonds. 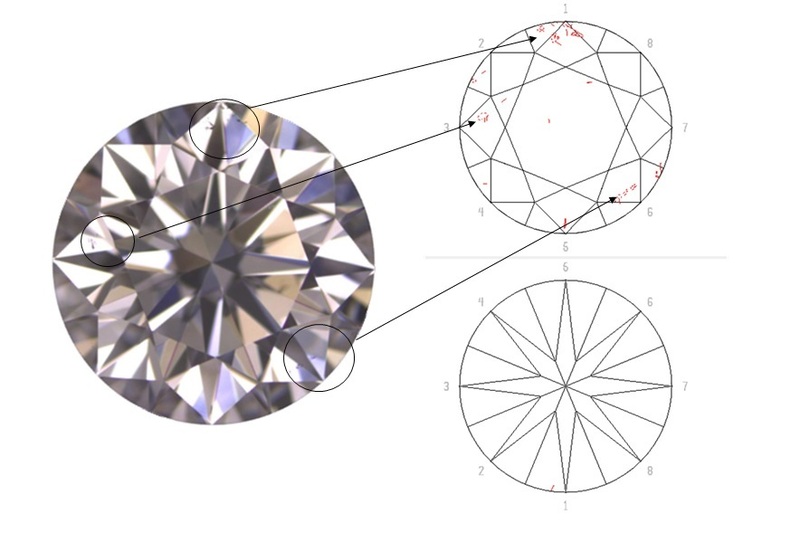 When buying diamonds, I prefer to reject visible black inclusions, chips, surface inclusions and laser-drilled holes. I also stay away from diamonds that have been heat-treated, color-adjusted, or augmented with foreign materials. I adhere to strict clarity standards most others may choose to ignore. Of the eleven clarity grades, I only sell the top eight. Sometimes even diamonds within those clarity grades can vary greatly, which is why I make sure to only pick the best in your desired clarity.